No, only a single DL Series Digital Oscilloscope can be controlled by the Matlab toolkit "mexDLControl" function at a time. Since the "ComStart" function can only be connected to one instrument you cannot connect multiple DL instruments simultaneously using the Matlab Control Toolkit. 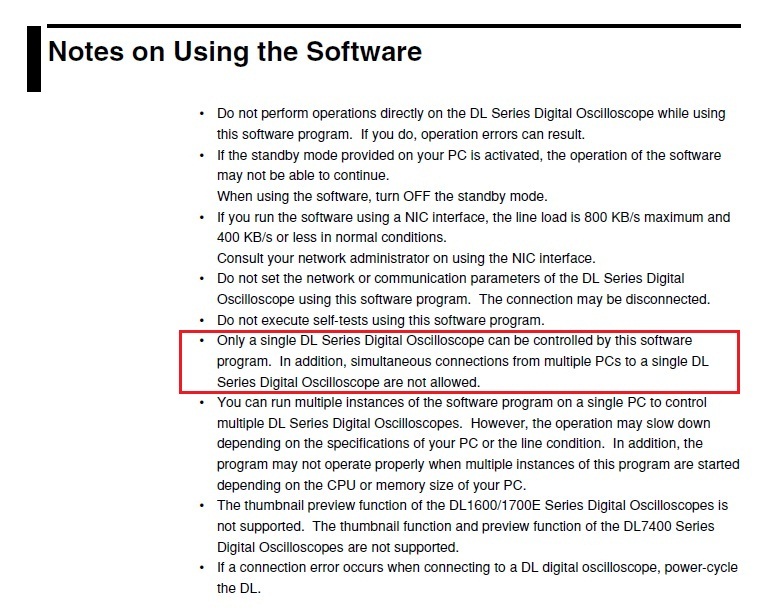 In addition, simultaneous connections from multiple PCs to a single DL instrument are not allowed.